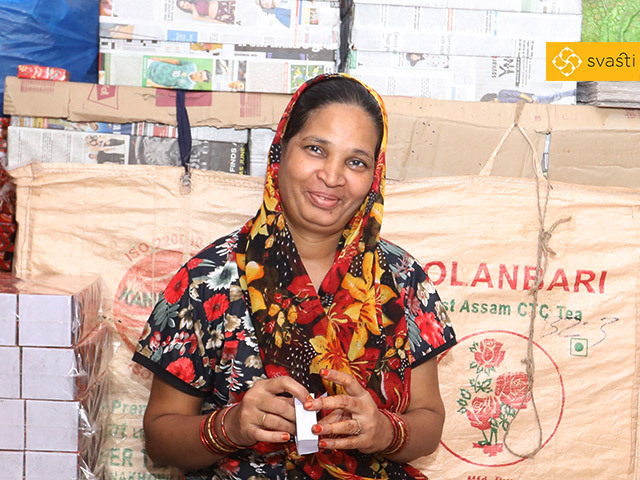 "Svasti helped in providing a stable income for my family." 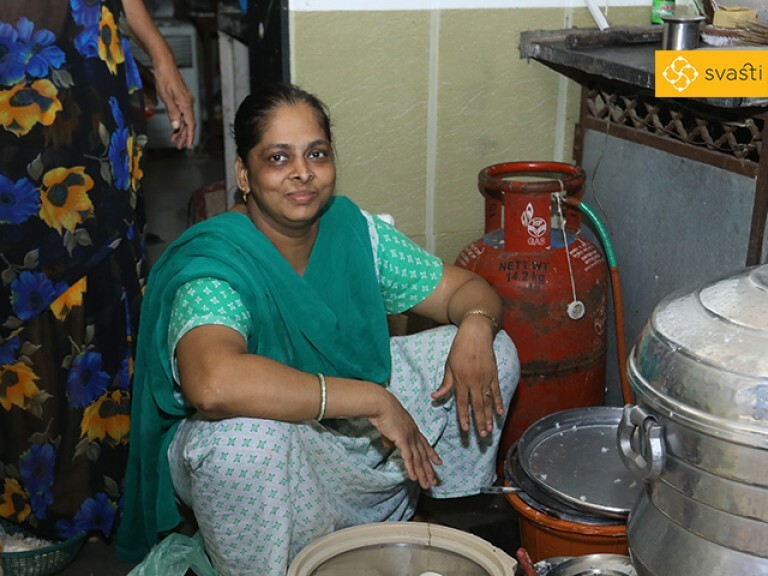 Hausila Sohanalal Gupta lives with her two sons and two daughters, in a small house in the Vikhroli area of Mumbai. She owns and runs a general store, while her sons work in a private organization. 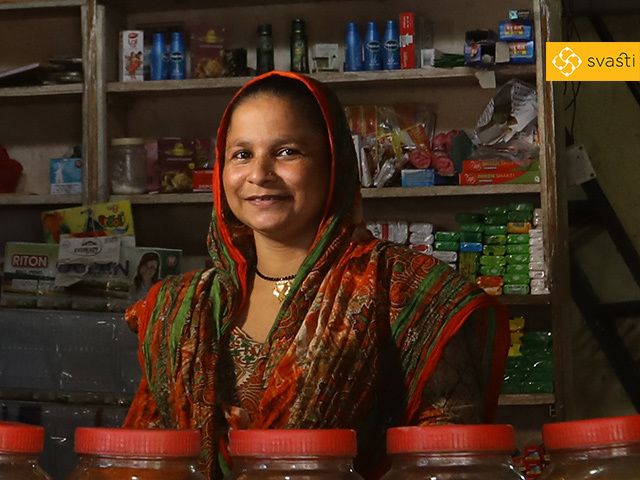 Scarcity of money has always been a problem for Hausila and her family. 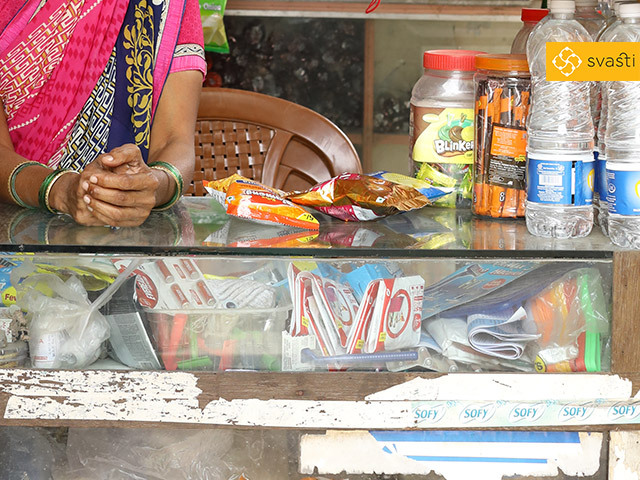 Even in her business, they lacked funds to buy bulk product stocks required for her general store. Until she heard of Svasti Microfinance, and its Joint Liability Group Loans. 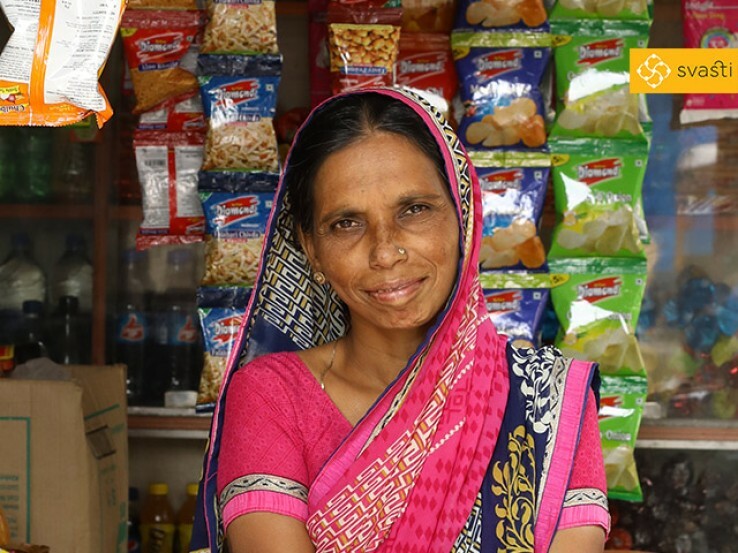 Over the years, Hausila has taken and repaid three microfinance loans from Svasti. 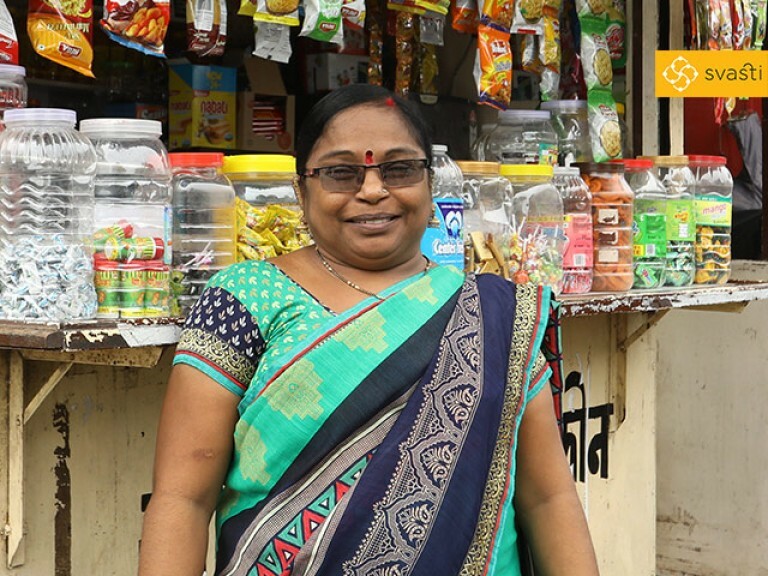 With each loan she was able to buy more stock, and in bulk, to not just increase her sales, but also to increase her profit margins. In the future, Hausila plans to open more general retail stores, in different parts of Vikhroli in Mumbai.